The tools you need to lead a successful, remarkable life are all there inside of you—just waiting for you to discover them. 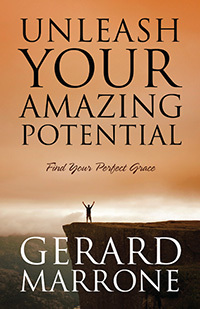 That’s the message of Gerard Marrone’s empowering Unleash Your Amazing Potential, the only book you’ll ever need to realize your highest goals, no matter what your current situation. 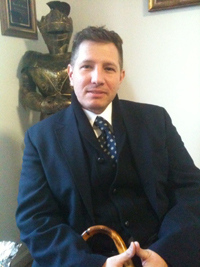 Marrone should know: In 1994, he fought back from a devastating and unprovoked violent attack that left him paralyzed to achieve fulfillment in every area of life. And so can you. The key lies in Marrone’s breakthrough system for success. This extraordinary method boosts your spiritual, mental, and physical health, creating a powerful basis for growth. You’ll learn: •How to tap the divine energy within to provide the necessary spiritual fuel to conquer your goals. •How to use the Law of Attraction to achieve positive results in all you do. •Ways to identify goals and then take massive action to achieve them. •The secret to achieving balance in every aspect of life. •Strategies to overcome almost any disadvantage—from poverty to abuse to addiction. •How to positively recondition your thoughts to battle and over come negativity and depression. •Much, much more! Part self-help book, part inspirational memoir, Unleash Your Amazing Potential will get you on track to live the life you were meant to. Through Marrone’s example and incredible story, you’ll find your divine grace, realize lifelong balance, and experience deeper satisfaction and happiness.